Periodically, a handwritten list of items of furniture that we “need” mysteriously appears in a prominent place in the home with a few of the items heavily underlined, indicating some degree of urgency. Occasionally an item will pique my interest and I set about making it, however, the list is evidently endless and it could take me some years to wade through just the items that hone my edge. 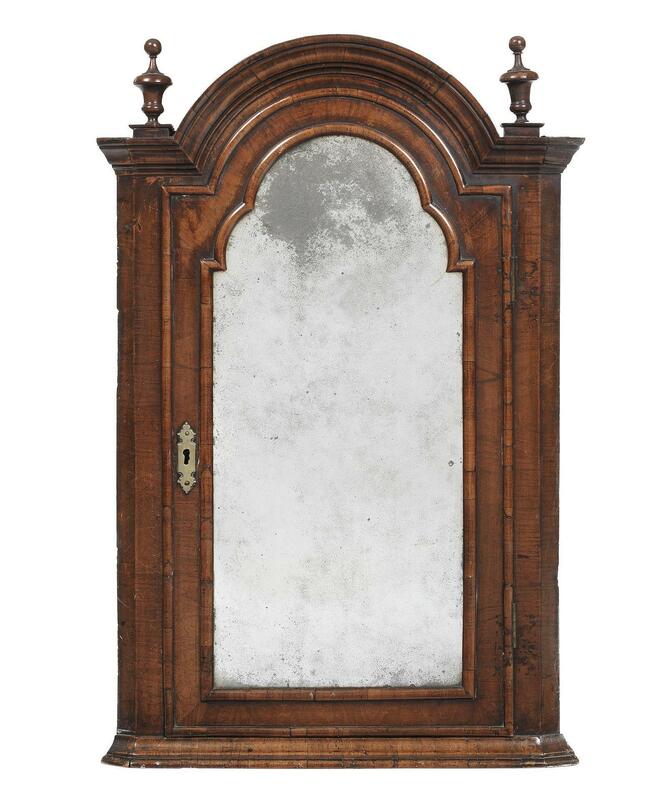 * A superb Queen Anne walnut cabinet with moulded arched cornice flanked by urn finials to either side above an arched door inset with a bevelled mirror plate and enclosing three shelves, a short drawer and two pigeon holes, on a moulded plinth base. 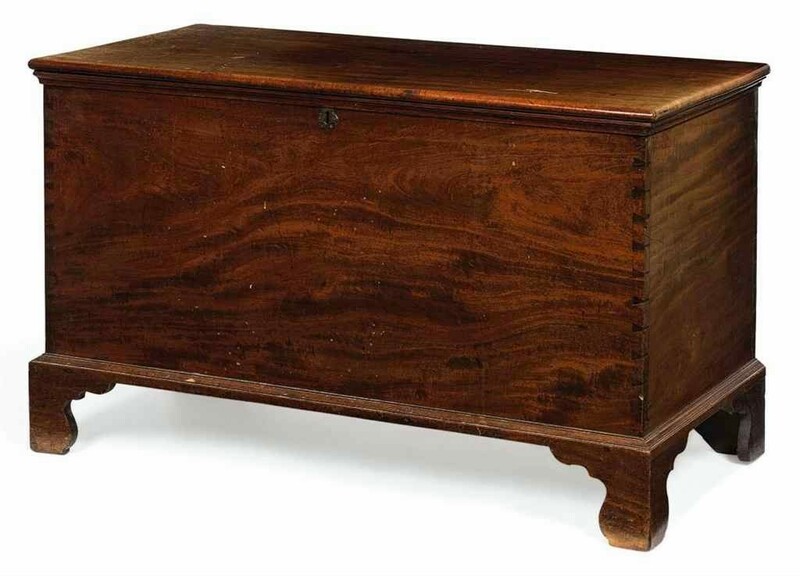 * An early George III mahogany blanket chest with a hinged lid above two dummy drawers and two functional drawers. * A pair of mid-eighteenth-century Irish red walnut side chairs with stuffover seats. 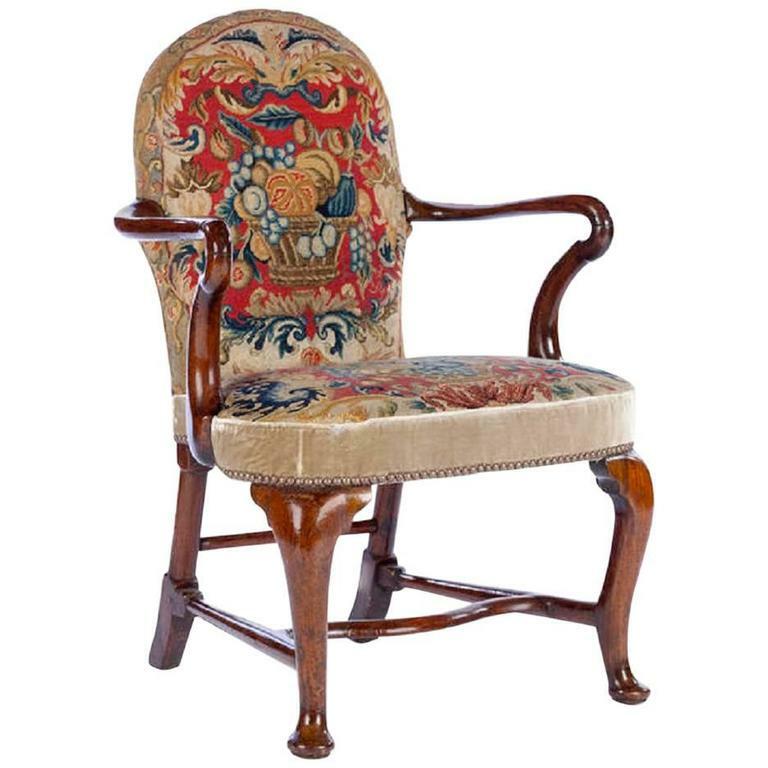 * A fine and rare George I walnut armchair, with shepherd’s crook arms. The cabriole front legs and splayed rear legs joined by a shaped stretcher. 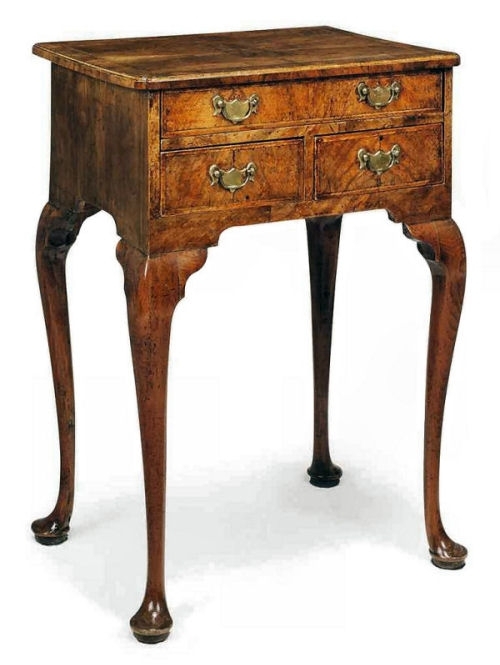 *A mahogany silver chest on cabriole legs. 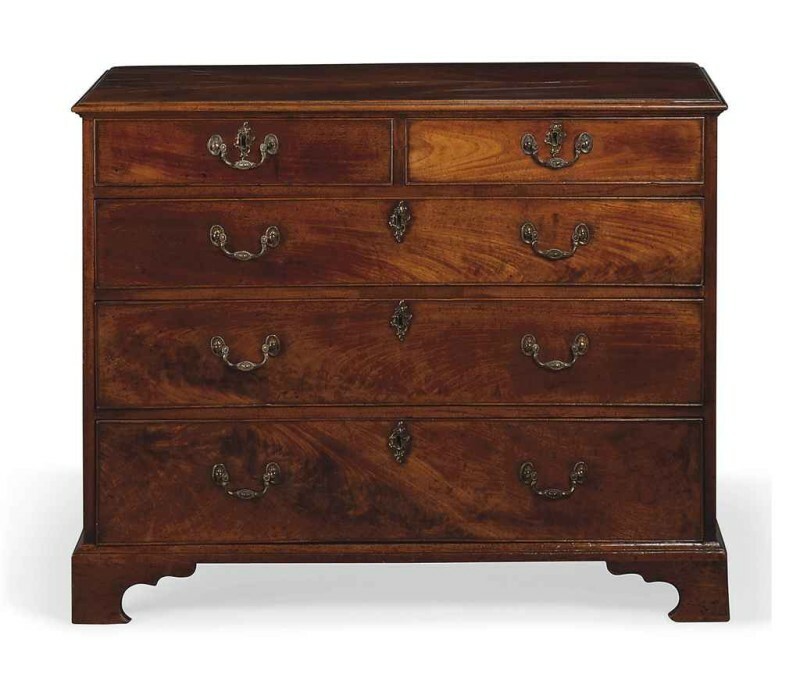 * A mid eighteenth-century Virginia walnut chest of drawers (Completed). 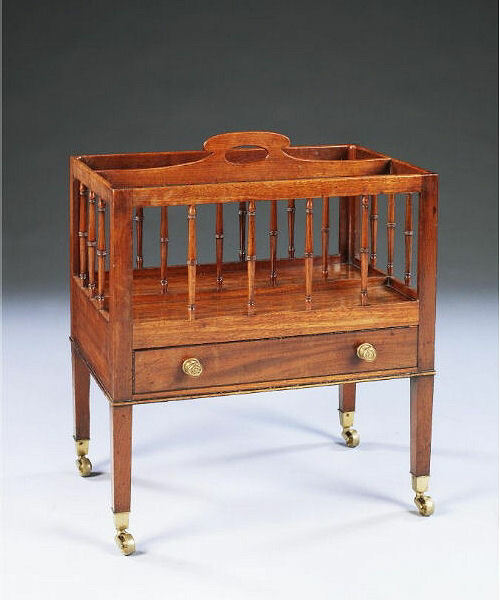 * A late eighteenth-century mahogany canterbury with turned spindles (I’m not yet one hundred per cent sold on the turned spindles), on square tapered legs and square socket castors. 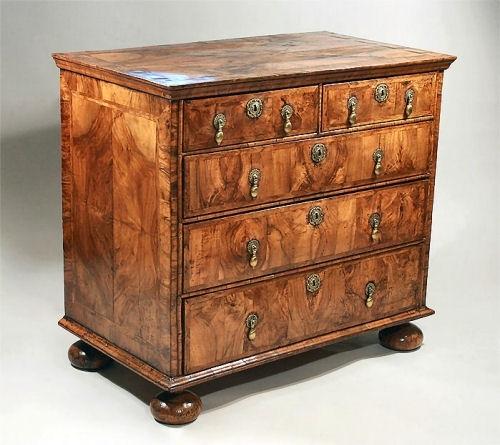 * A George II burr elm bombé commode standing on short cabriole legs. 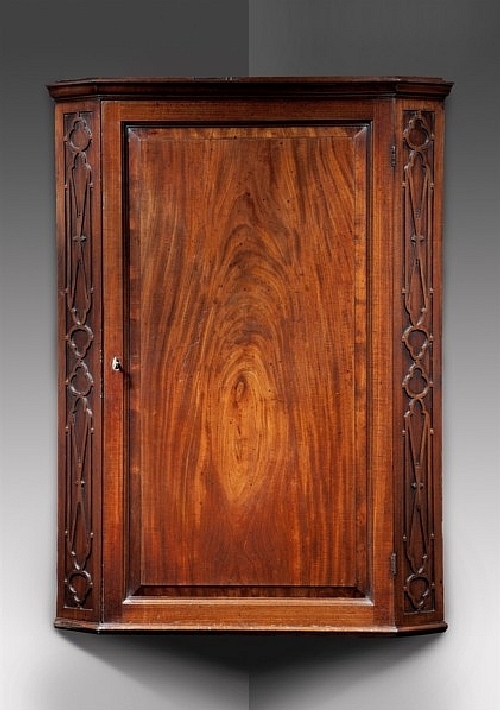 * A mahogany mural corner cupboard with rectangular fielded door and blind fretwork canted sides. * A number of George III turned drupaceous fruitwood coasters in drinking glass and decanter sizes. 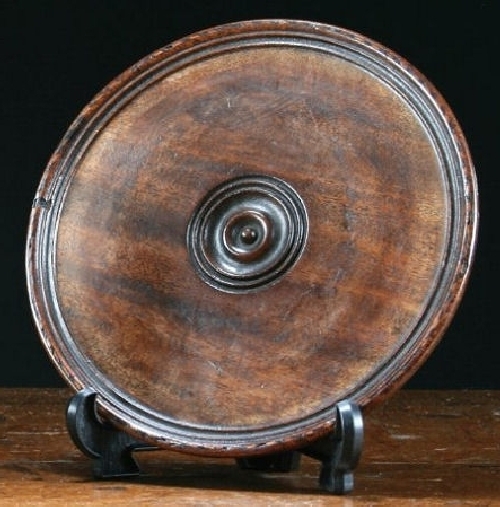 A nicely patinated George III turned fruitwood coaster. 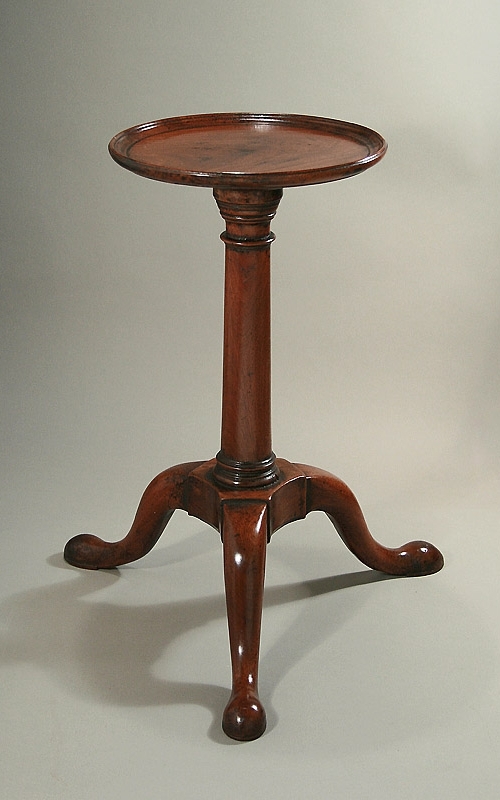 * A circa 1730 George II tripod table. 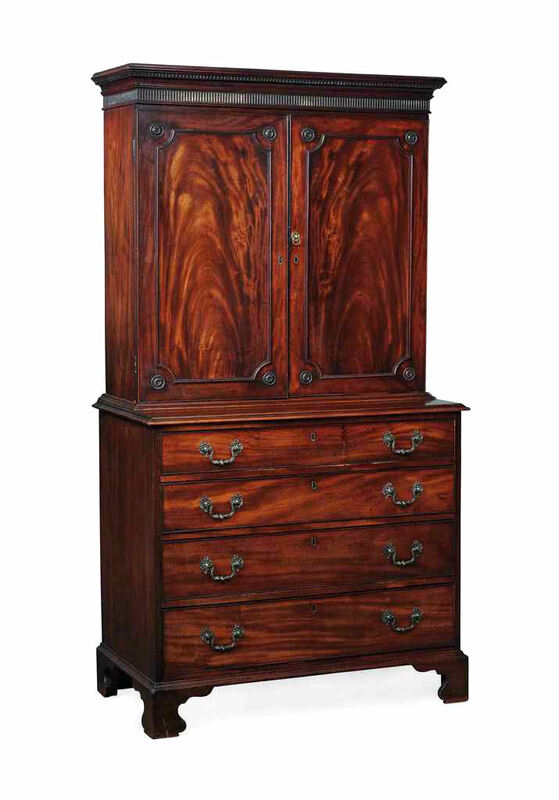 This one is an unusually early mahogany example; walnut being the norm for this style and period. 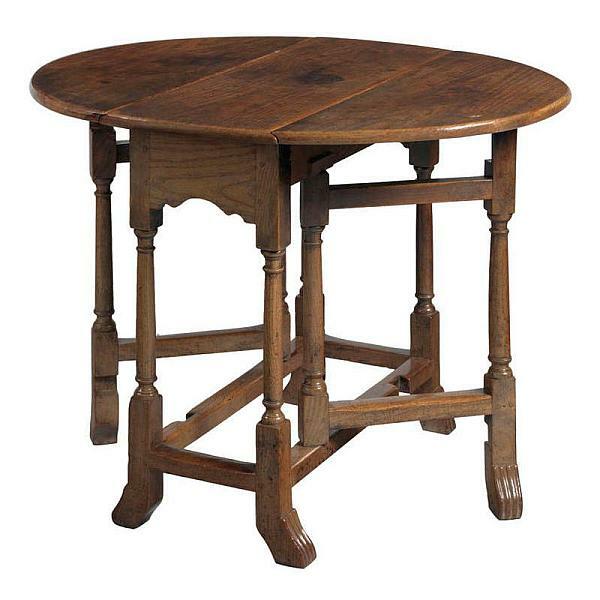 A mixture of walnut and yew is another possibility as evidence to hand supports the use of these woods for a virtually identical table. 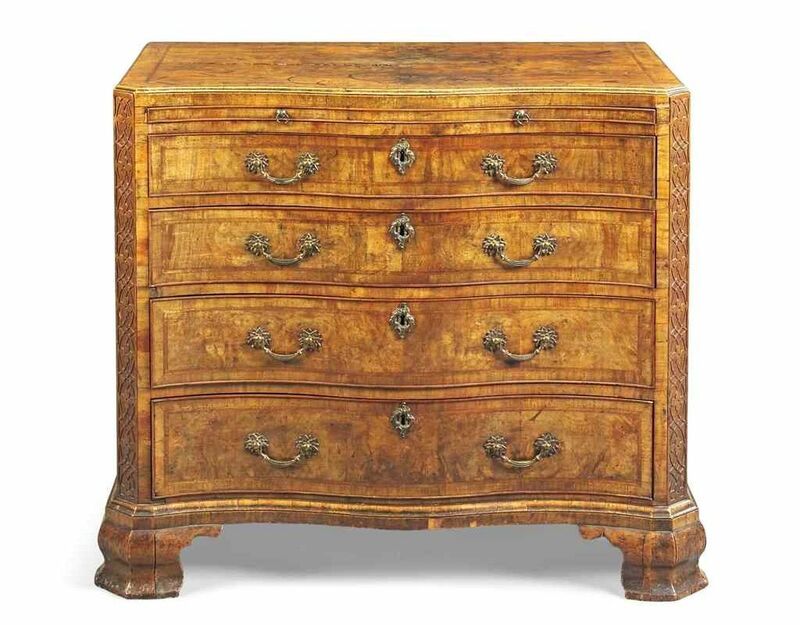 * A circa 1690 William and Mary walnut chest-on-stand, the cup-and-cover legs joined by a wavy stretcher. 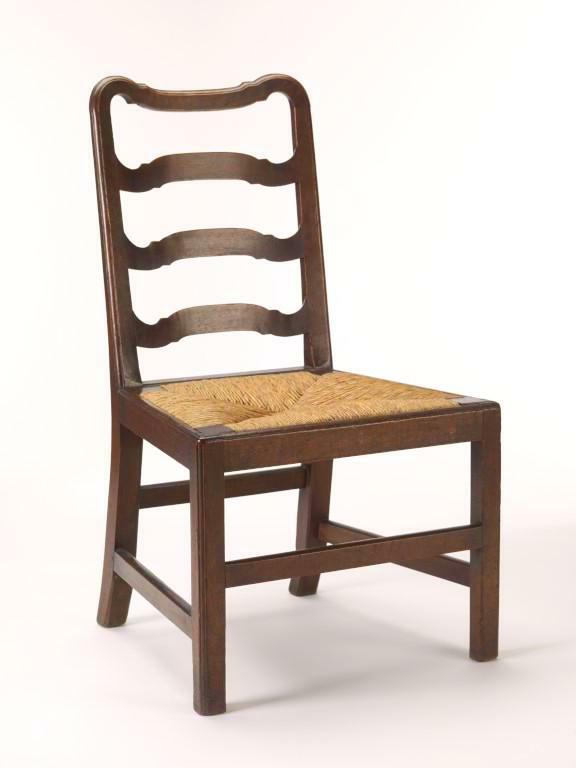 * A circa 1760 George III set of eight Irish ladderback dining chairs (the original set of eight mahogany chairs supplied to the fifth Earl of Antrim for Glenarm Castle, County Antrim, Northern Ireland). 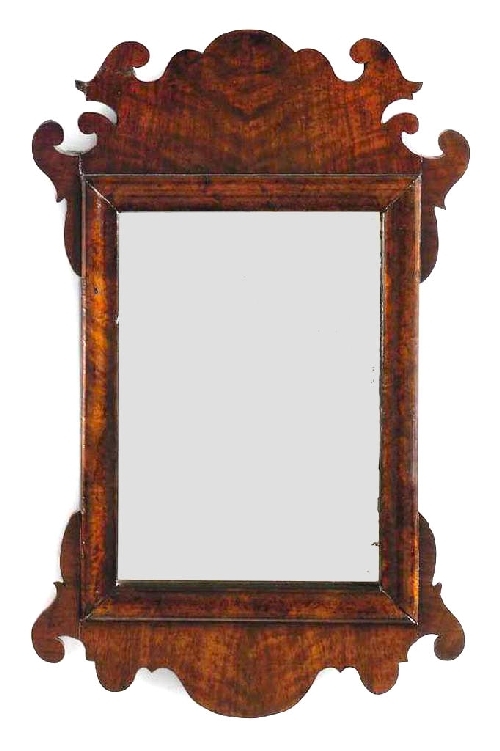 Unusually small George II walnut mirror, circa 1735. 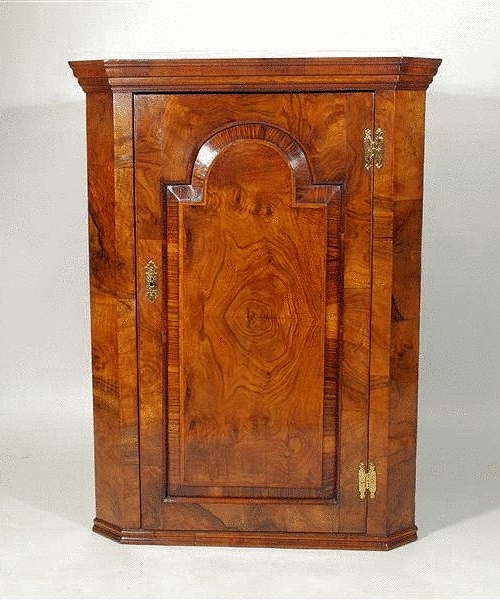 George II walnut girandole, circa 1745. 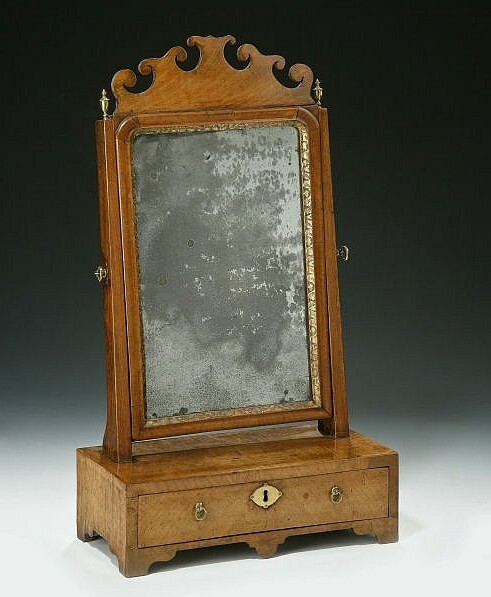 George II mahogany readers companion, circa 1755. 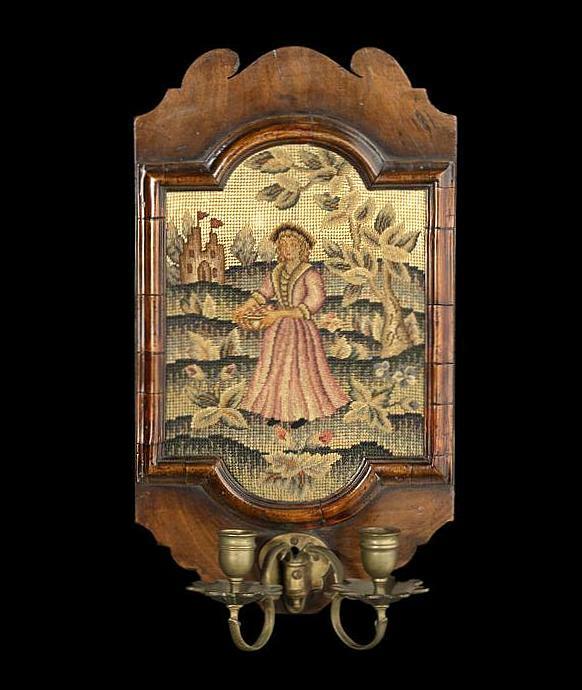 * A George II walnut dressing glass with carved and gilded slip and original fretted crest. 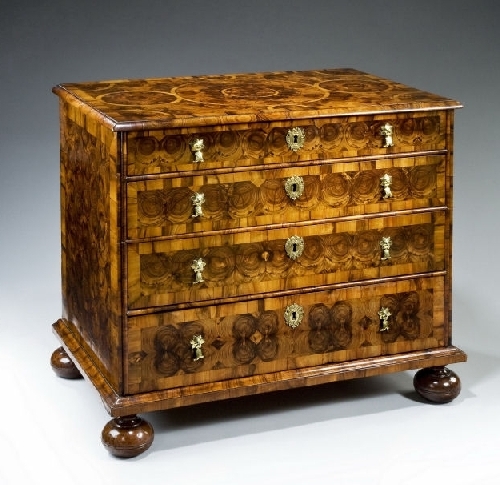 * A late seventeenth-century Anglo-Dutch chest of drawers, veneered in rhombi parquetry employing three different wood species – fruitwood, sycamore and padouk. The banding, mouldings and feet are also of padouk. 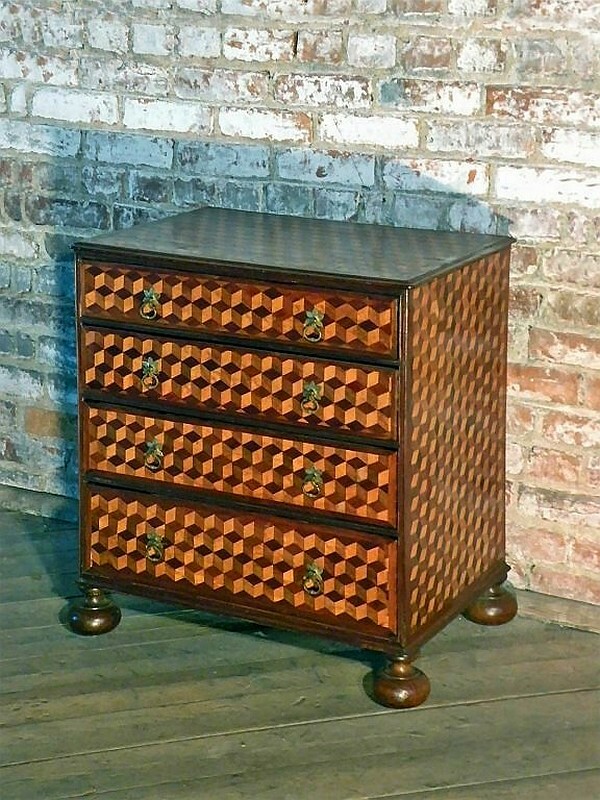 William and Mary Anglo-Dutch rhombi parquetry chest of drawers, circa 1690. 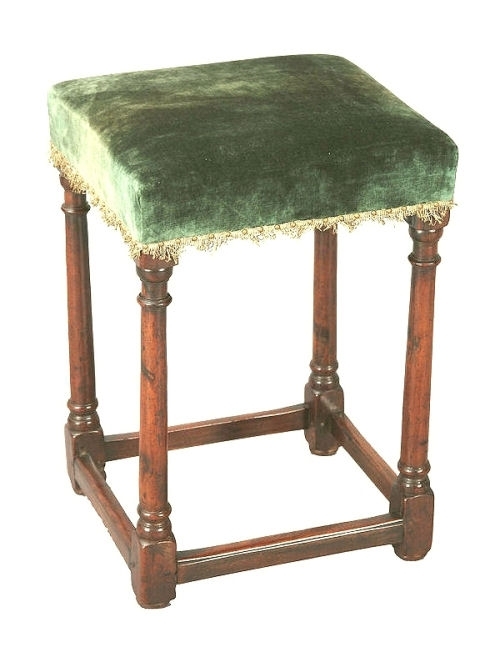 * A mahogany Gainsborough chair, covered in green silk damask and close-nailed. Based on the chair in Johann Zoffany’s portrait of King George III. 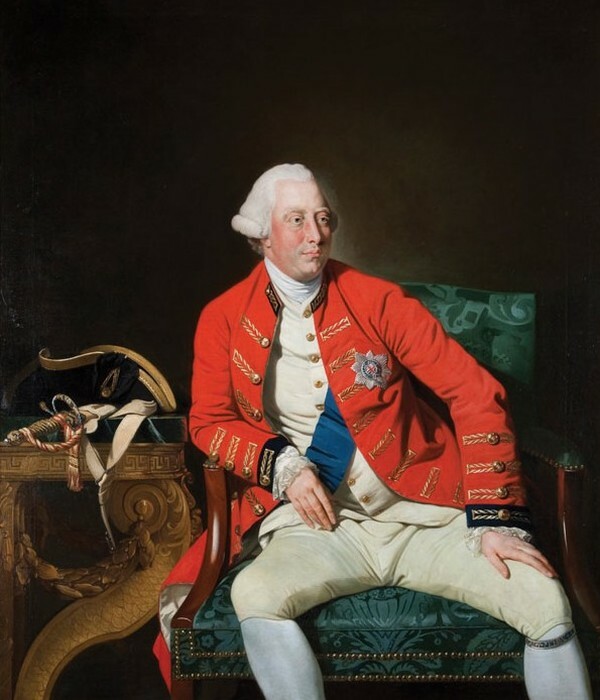 King George III, by Johann Zoffany, circa 1771. 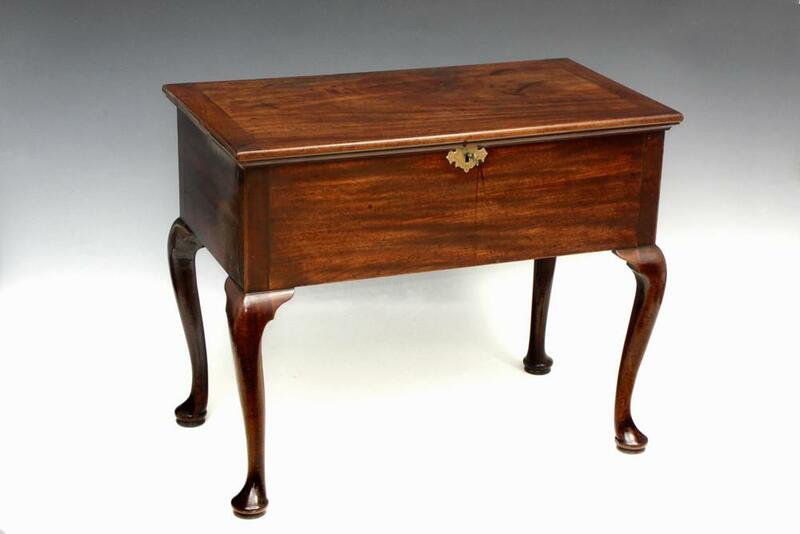 * A late George II solid mahogany chest on bracket feet. 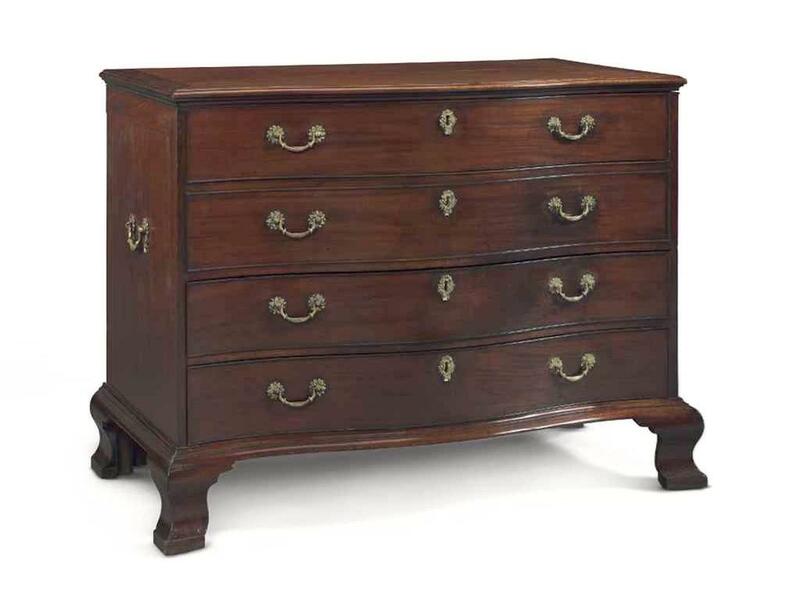 George II mahogany chest, circa 1755. 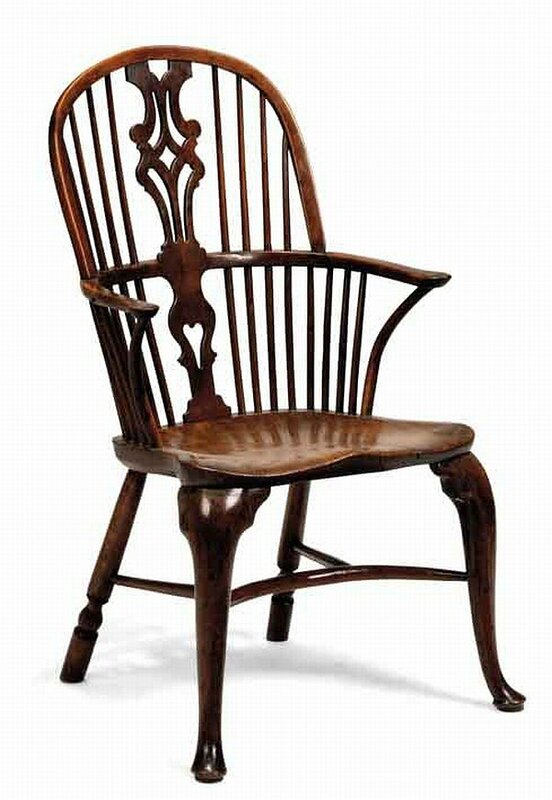 Elm, ash and fruitwood double bow Windsor chair, circa 1760. 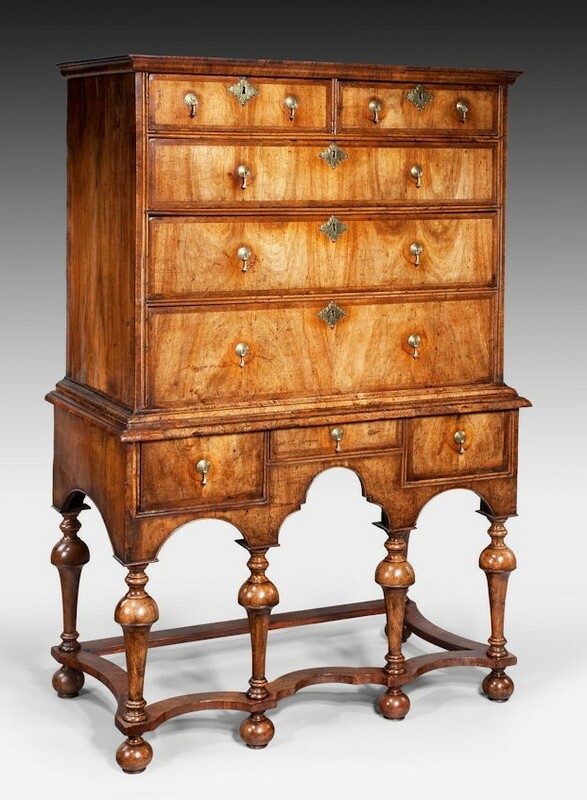 Ash, elm and walnut Claremont fan-back (legs reduced), circa 1730. 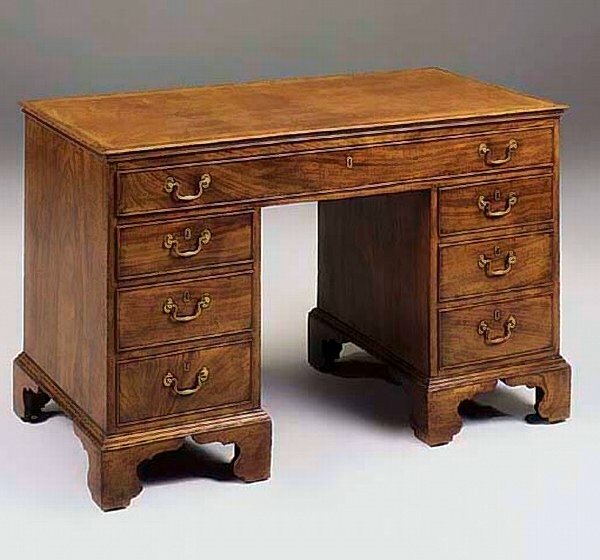 Solid ash bureau, circa 1755. 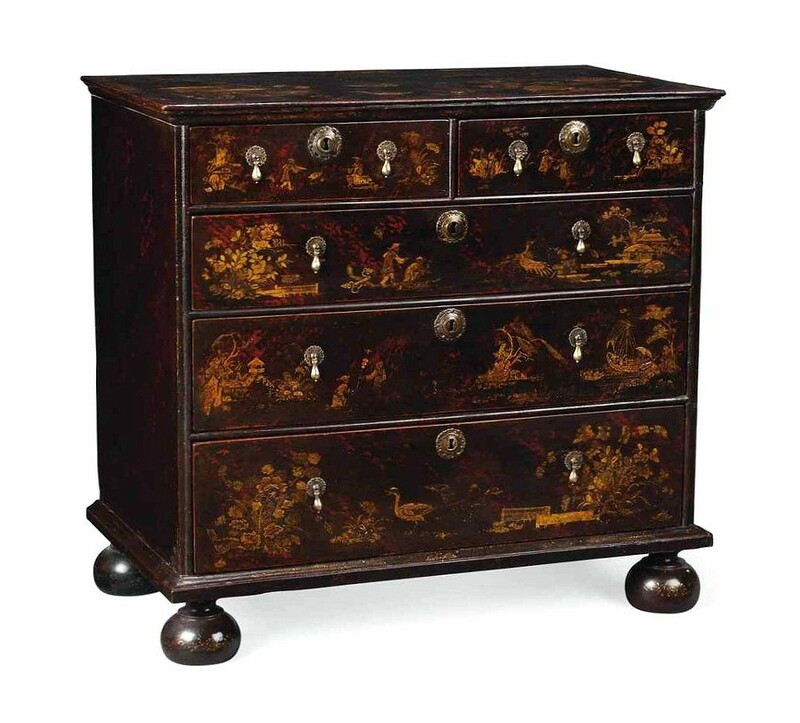 * A George I walnut-veneered inverted breakfront chest of drawers, with three short drawers over three long drawers, standing on bracket feet. 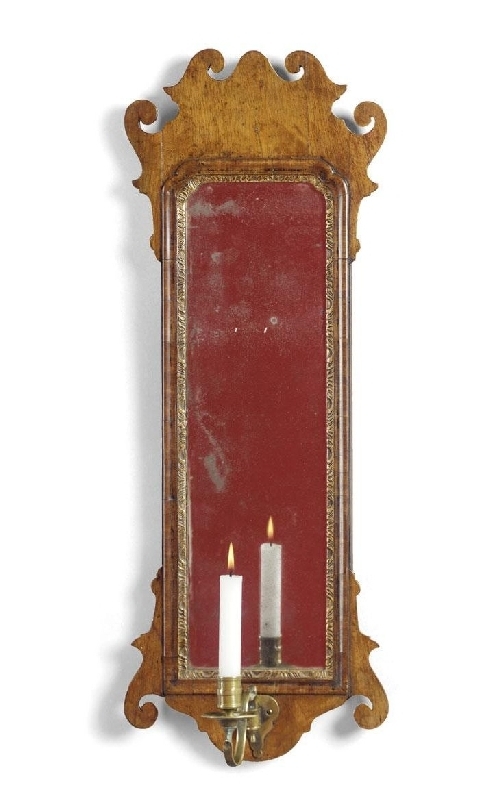 * A pair of George II moulded and shaped walnut girandoles with twin branch candle arms. 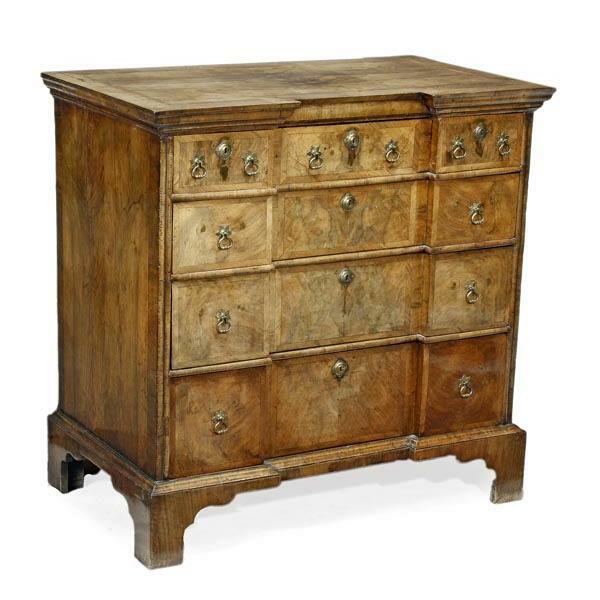 * A simple, late Georgian Irish sideboard in elm with bead-moulded drawers and typically Irish decoration to lower edge of frieze. 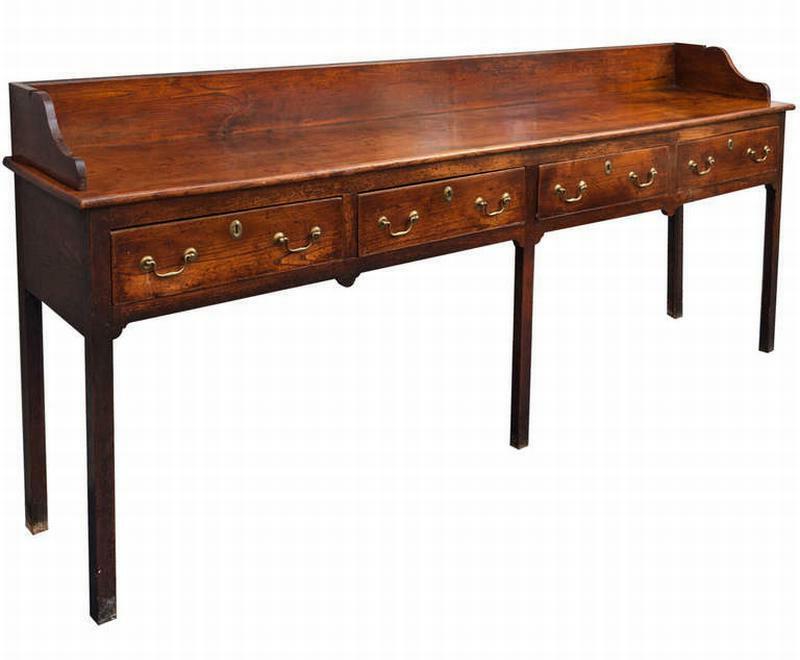 George III Irish elm sideboard, circa 1790. * A series of ebony and/or black-stained sycamore (Acer pseudoplatanus), field maple (Acer campestre) or pear (Pyrus communis) ‘waved’ mirror and picture frames. The waved mouldings will necessitate the construction of a ‘waving engine’. 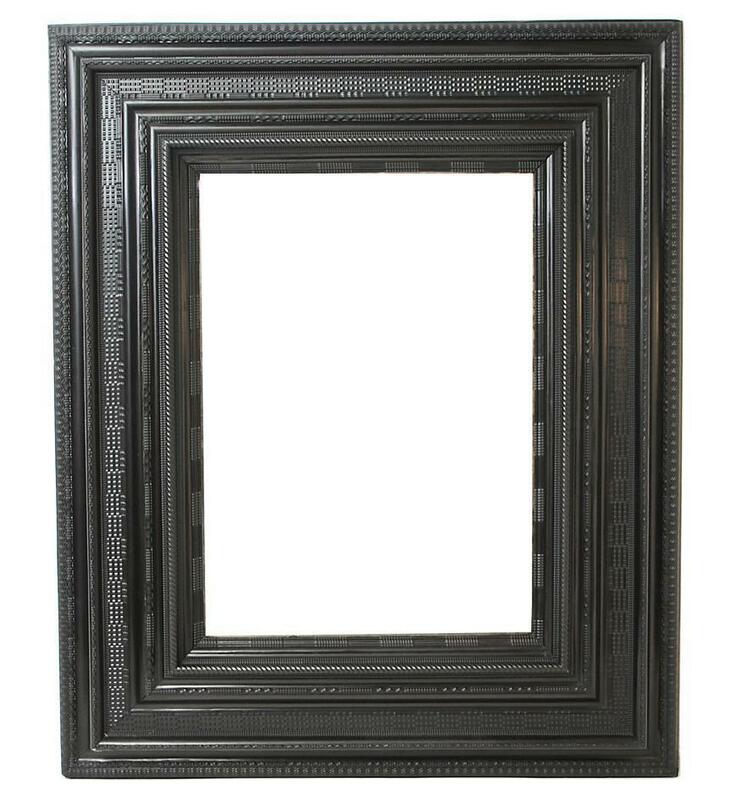 Waved ebony frame, circa 1690. 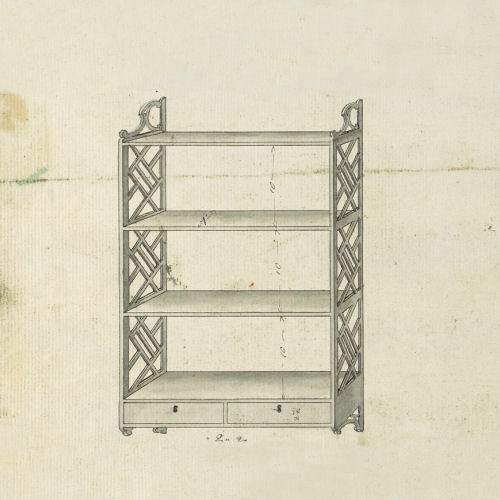 Waving engine, Joseph Moxon, circa 1694. 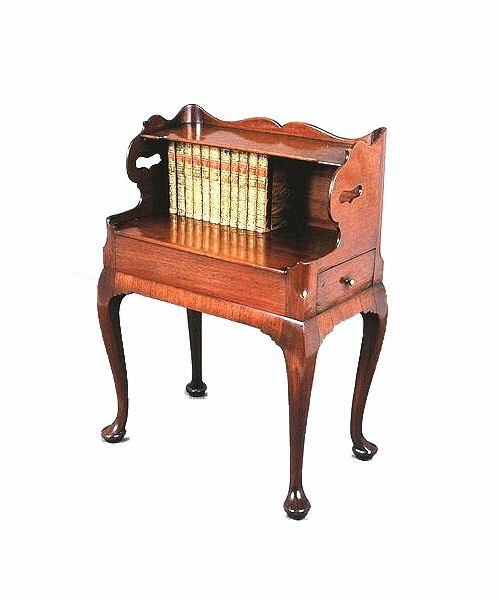 [i] Pictorial Dictionary of Marked London Furniture, Christopher Gilbert, W.S. Maney & Son Ltd., 1996, p.234. Looks like you’re in this for the long haul. Oh, longer than you might think. I added my own coffin to the list and the next time I looked, it had been crossed out! Thank you for sharing your knowledge and thank you very much for not taking us through every mortise and dovetail. I am anxiously watching for your next project. Thank you, for all your information I am currently studying to get my certification in antiques, it is a thrill but my gosh you just educated with me with so much more wow, I love it! This is all fascinating, but I can’t help but wonder how big your house is? 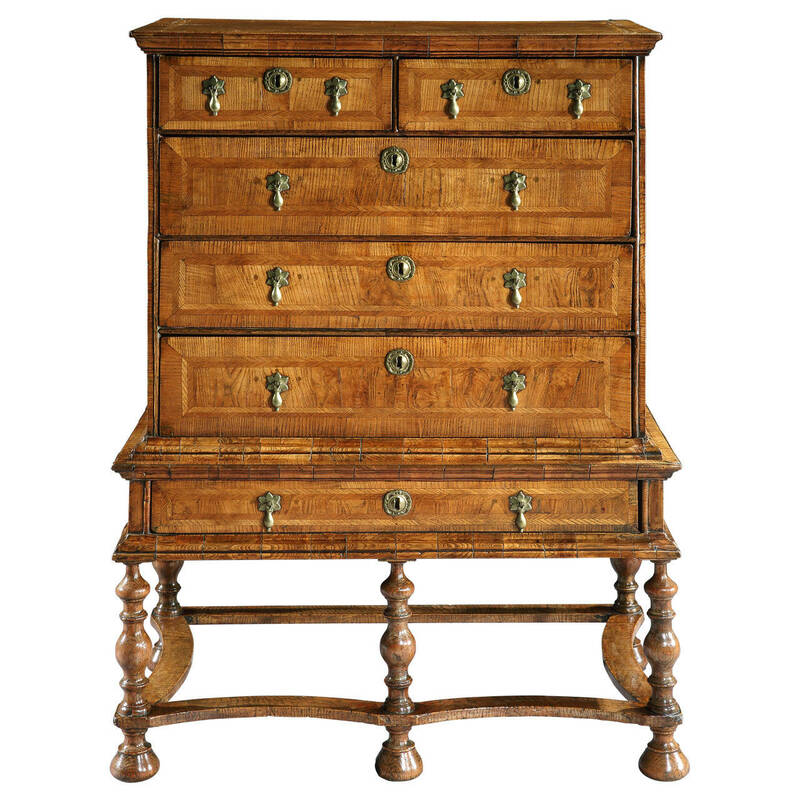 Our house isn’t palatial, but I regularly bequeath furniture to make room for new arrivals. 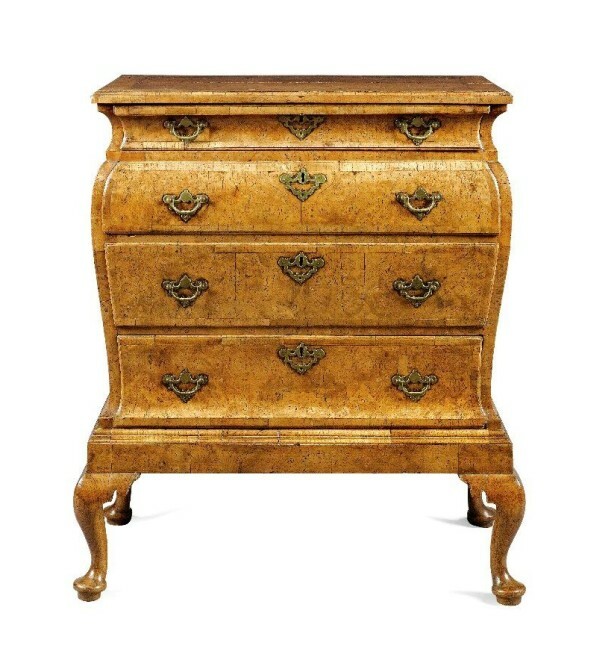 Hi, I’ve only just discovered your work and have a question regarding the William and Mary Oyster chest that was on your “to-do” list, from years ago. But what wood species do you think was used, in your experience, for the cross banding, and circular patterns on top? All the veneer is olive; the oysters are from small diameter branches and display the dark heartwood. The banding is also olive, but is from the much paler sapwood. This is now one of my favorite pages. I’m slowly working through the projects — makes me sad thinking about what your book might have been like! The end-grain banding really adds a dimension/texture to the designs. I admit that I’m surprised it has survived so well on the old furniture. Any particular tricks to maximize the longevity of furniture with these elements? Perhaps the oil/varnish/shellac provides some resiliency that I don’t appreciate? 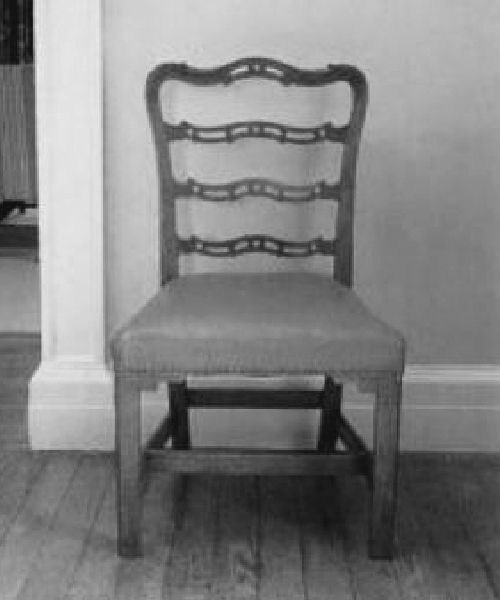 The banding (and early mouldings) are cross-grain, not end-grain – there are significant differences in performance and appearance. Being cross-grain, the banding is no more susceptible to the ravages of time than other veneers. Of course, that’s what you originally wrote. Sorry that my eyes/brain substituted end-grain.